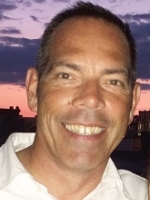 GUILDERLAND – Joseph Patrick O’Connor, 49, of Guilderland, passed away on Tuesday, November 3, 2015, in Boston, surrounded by his family. Joe was as strong as he was unselfish, as positive as he was generous, as loving as he was loved, and Joe will be deeply missed by everyone who knew him. Joe leaves behind the most important thing to him in life: his family. Joe is survived by his loving and devoted wife of 26 years, Peggy (Janeski) O’Connor; his adoring children, Erin M. O’Connor (fiancé Grant Socha, who were introduced by Joe), Kelsey N. O’Connor, and Timothy P. O’Connor. Joe is survived by his mother, Marian A. (Wemple) O’Connor (the late Frank C. O’Connor Jr. who, it is certain, was the first one to greet him); his siblings and their spouses, Kathleen M. Ryan (Frank), Deborah A. Marino (Robert), Frank C. O’Connor III (Carol Kirk), Judith M. Dixon, Thomas J. O’Connor (Kimberly Usas); and many admiring and loving nieces and nephews. Joe worked at TW&A Construction Management in Schenectady assisting business development as Project Manager and loved his work, much of it assisting in the transformation of downtown Schenectady. Previous to his work with TW&A, Joe worked in the automotive business for 25 years. He was a tireless advocate for the City of Schenectady and he enjoyed giving back to the community. He was involved with the Downtown Schenectady Improvement Corporation, Schenectady Ambassadors, and he coached youth sports for many years, leaving his mark on an untold number of children and young adults. However, the accomplishment Joe was most proud of were his three children. First and foremost, Joe loved spending time with family. He was an avid sportsman who loved the outdoors and the ocean -especially Green Harbor. He was an Automotive Enthusiast and he treasured his loyal German Shepherds. He enjoyed the company of friends, listening to music, cigars by the fire, watching Notre Dame football, and being the best dressed person in the room, even, no doubt, at his own funeral. Joe had an incredible sense of humor, a strong loyalty to family and friends, a powerful work ethic, an unwavering moral compass, and the gentlest spirit that absolutely overflowed out of the strongest, toughest man you’ll ever meet. Joe will be remembered for his generosity, his love for life, and his love for his family. Joe was the first to offer his help, whether it was cutting down a tree, or offering any favor. Everyone who knows Joe is asked to celebrate his life as he celebrated it every day: with kindness, generosity, strength, determination, and love of family and friends. Joe’s family would like to give sincere thanks to the incredible team at Dana Farber –Yawkey 7 who worked so hard, lovingly caring for Joe, and who became his dearest friends during his twenty-one month fight against cancer. In lieu of flowers we would request donations to the Dana Farber Cancer Institute-Yawkey 7, which can be mailed to Hans Funeral Home. Funeral services will be held in the Hans Funeral Home, 1088 Western Ave., Albany, Saturday morning at 9:00am, and from there to St Madeleine Sophie Church, 3510 Carman Rd, Schenectady, at 10:00am. Relatives and friends are invited, and may call at the funeral home on Friday from 4:30 to 8:30pm. To leave a message of condolence for the family or obtain directions to the funeral home, please visit www.HansFuneralHome.com. My heart is heavy for you all. Blessings to you during this time of grief. I will not be able to join you this weekend but you all will definitely be in my thoughts and prayers. Peace be to Joe’s memory. My thoughts and prayers are with Peggy, Erin and the twins, Kelsey and Tim and the entire O’Connor family. Your husband, father and relative was a great man. I was proud to call him my friend. I’m sure Frank and Joe are talking Yankee baseball. Not only was Joe a beloved cousin, but also a friend. We are so sad at his passing. We will miss his lively personality and good humor. His ever positive attitude is something we will always remember, admire, and hope to emulate. Love to you all. To the O’connor family, my thoughts are with you all, as I knew Joe he was the most decent person anyone could have known. We are all lucky to have known him. Peace be with you. So sorry to hear about Joe. I knew how much he loved his family. My heart goes out to all of you. Deepest sympathy. Peggy, and family, I am so sorry to hear about your loss. Joe, and you have been great to me, all these years, at Otto’s,and your house. My thoughts are with you and the kids. Tom, my deepest sympathy to you and your family. I’ve only known you a short time, and never had the pleasure of meeting your brother. You look so much alike. I am so sorry for your loss. May you and your family find some comfort in each other, and courage to get through the days, weeks and months ahead. We are so sorry for your loss. Our prayers and thoughts are with your Family. We are so glad we got the chance to meet Joe. Although we knew him only briefly, we shall miss him. Our prayers and thoughts go out to Joe and his family. We are heartbroken and will miss Joe’s positive spirit and presence. We only just met Joe one year ago when we moved into the offices next to his at 30 Jay. Words can not explain what an impression he made on us from the very first meeting. He was truly a gentle soul with great strength of character who commanded the room he was in and was quick to offer his assistance. Susan and I feel blessed to have met a man like Joe who even through his battle remained positive and focused to win. His noble character in the face of such a difficult obstacle in his short life will forever be with me as the model of a man ( human) that God would want us all to be when tested. Respectfully Dominick and Susan Ranieri. I am so sorry to hear of Joe’s passing. He will surely be missed. I hope that you find solace that Joe will join the ranks of Sonny, Willie, and my dad, Raymond along with other friends in heaven for a welcome toast. My thoughts and prayers go out to all of the O’connors at this time. I am sorry I can’t be there to say good bye to a truly great soul. Peggy and family…….. I can’t express how sorry I am for your loss. Just know that Joe will be watching over you always. Treasure all the good memories you have and know you have a great family to support you. God bless you all. Sincere condolences to the entire family. May the love you all share keep you strong and preserve beautiful memories. I’m shocked to learn of Joe’s passing.My sympathies to the family. A wonderful man as well said in the obituary. I’ll miss seeing him bird hunting. This past year I had the pleasure of meeting Joe through our Dare to Dream with SBANENY event. He won the bid for Police Chief for a Day. I met him at the beginning of his day-long adventure and later he followed up with me about his experience. During our conversations, I was struck by Joe’s kind and generous nature, as well as his spirit of adventure. As he recounted his day to me with much excitement about what he had had the opportunity to do, his love of his family came through loud and clear. I feel fortunate that I was able to meet him. My condolences to your family.